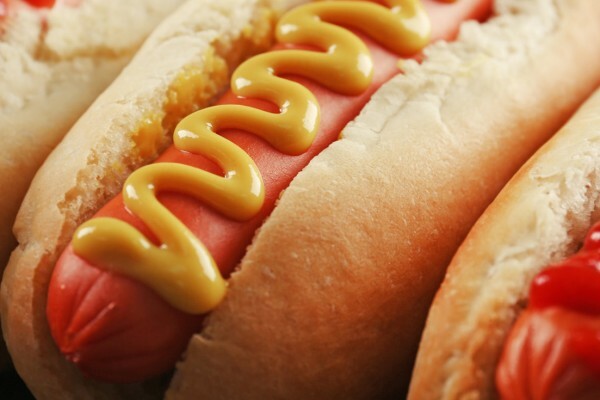 USA Today reports that the vegan hot dogs at Super Bowl 50 were the least popular snack item. Let the propaganda ensue! Levi’s Stadium, host to the games, is heralded as “the most vegan-friendly stadium in the entire sports industry” by Centerplate General Manager Zach Hensley. With 32 vegan menu items and at least one of those selections at each and every food stand, hawking around a sole vegan hot dog cart to see how few are sold feels like a petty endeavour. Apparently the dogs garnered a reputation for being “rubbery, chewy and tasting of warmed cardboard.” So maybe the issue here isn’t vegan hot dogs, but food that don’t taste good? Or maybe this is a broken telephone situation, started by a vendor at a non-vegan hot dog stand (my fave conspiracy theory). But we know that there are great meat-free dogs out there! So why isn’t anyone reporting about how many orders of jackfruit sandwiches, curries, and other animal friendly choices that were hungrily purchased? Well, as always, it’s more fun for pigskin fans to poke fun at the vegans. Truth is, with 68,500 seats, 165 luxury suites, and 8,500 club seats, I’m sure many vegan or accidentally vegan options were inhaled, and dare I say, enjoyed. With Beyonce’s show stopping performance, I’m betting she could have refuelled with a vegan dog, and got her legions of fans to follow that formation. Did you attend Super Bowl and have a vegan dog? Tell us about it below!